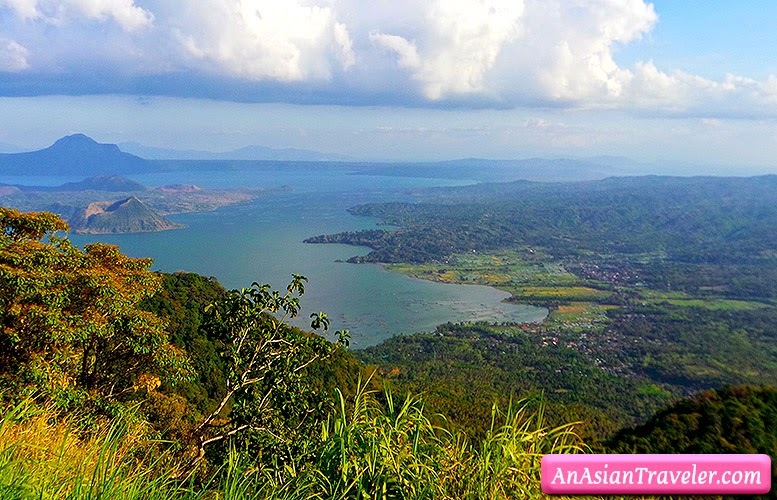 After a few hours of conversation and sipping cups of espresso we said goodbye to my sister's friend whom we visited. 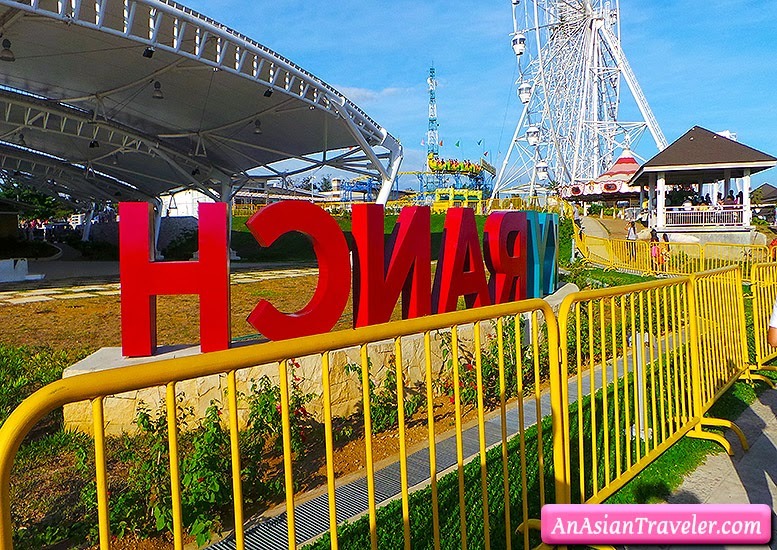 Then we drove directly to Sky Ranch, one of the newest leisure park now in Tagaytay which opened in May 2013. 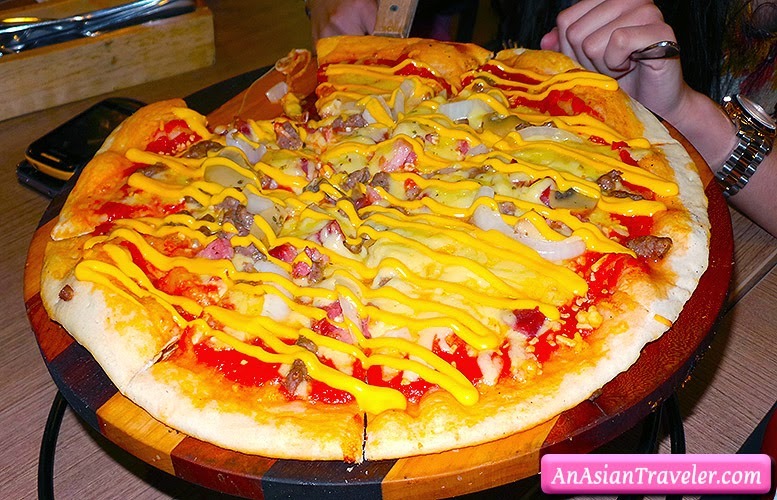 I didn't know what to expect here, but I just wanted the whole family to see the place and spend time with our niece who just came from Canada. 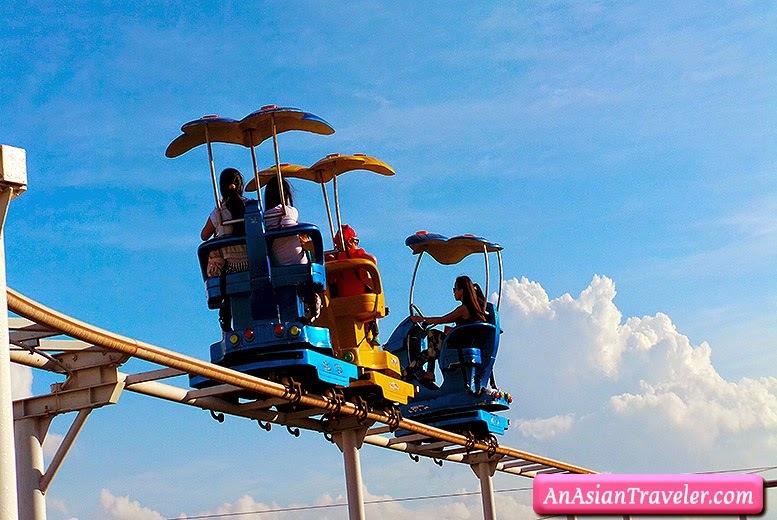 Sky Fun Amusement Park is located inside Sky Ranch. 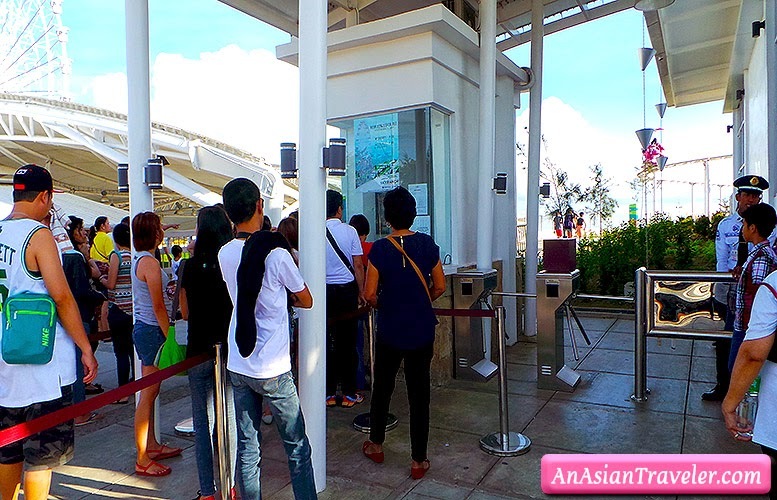 HB purchased an entrance ticket (P100/person) for everyone that allowed us to enter the park. 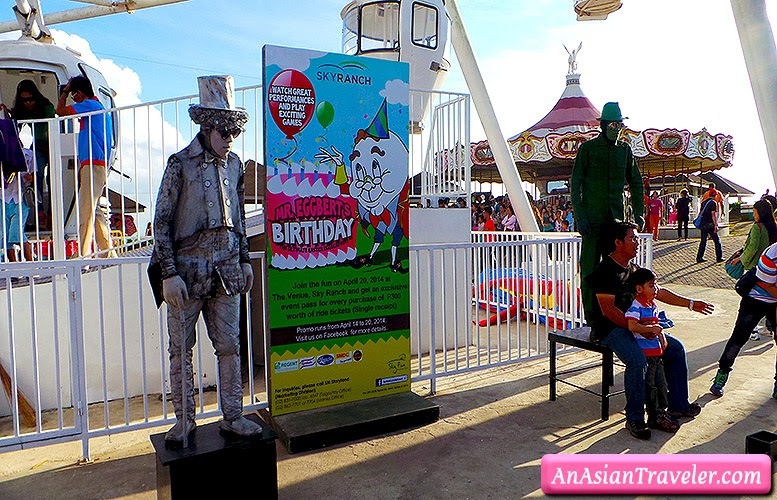 However, ticket does not include admission for its many rides. 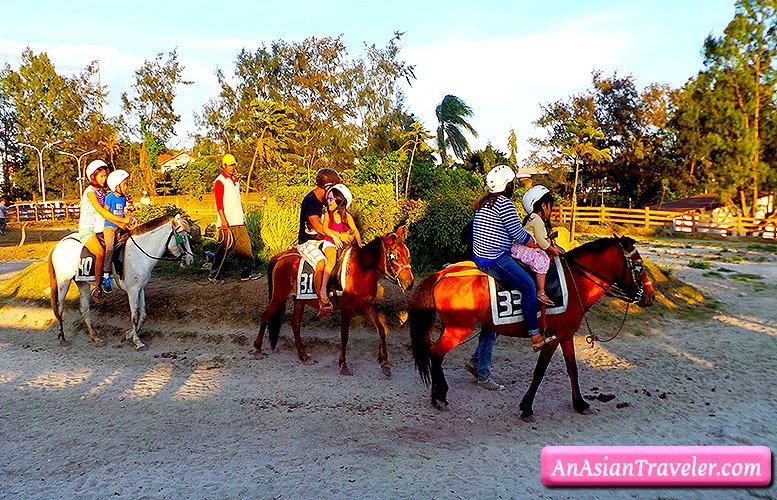 A must for anyone with an interest in horseback riding, zip lining and a mini-amusement park with rides such as Sky Eye, Sky Cruiser, Nessi Coaster, Carousel, Super Viking, Mini Pirate Ship, Road Train, Red Baron, Wonder Flight, Express Train, Bubble Fun, Sky Jump and Snail Attack. 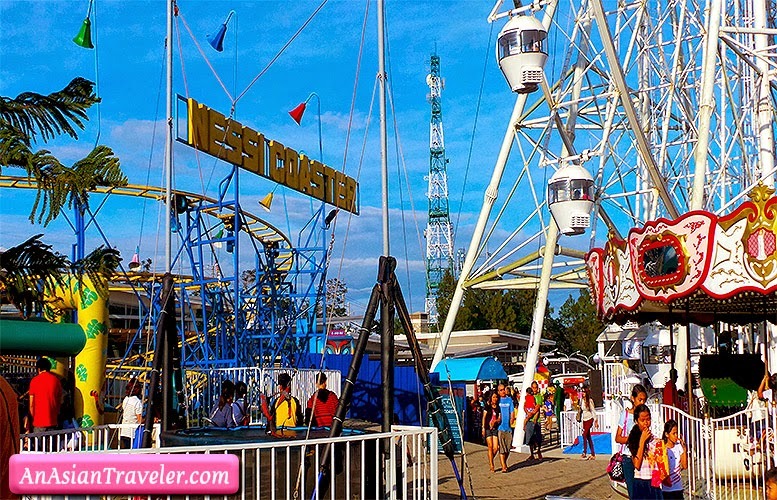 Please note that most of the rides are geared towards children. 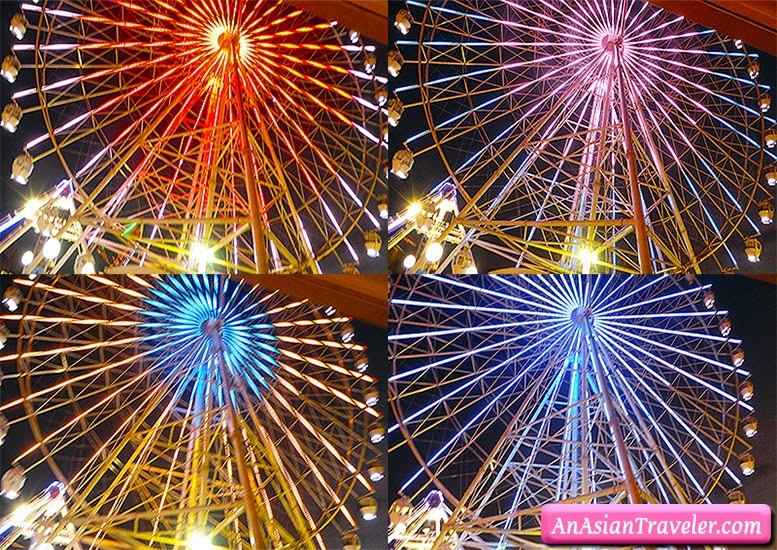 We tried the Sky Eye Ferris Wheel, which is, well one of the only two rides for adults (aside from the Super Viking). 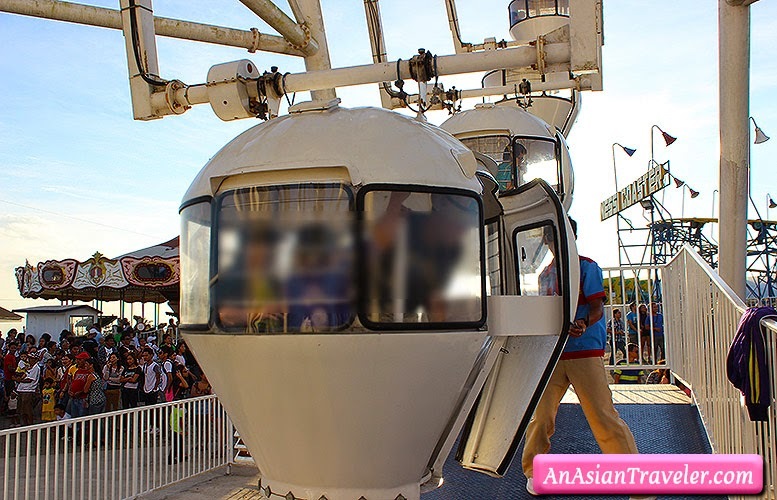 It has 32-airconditioned gondolas, each able to carry a maximum of four people. It looks secured but a little cramped inside. 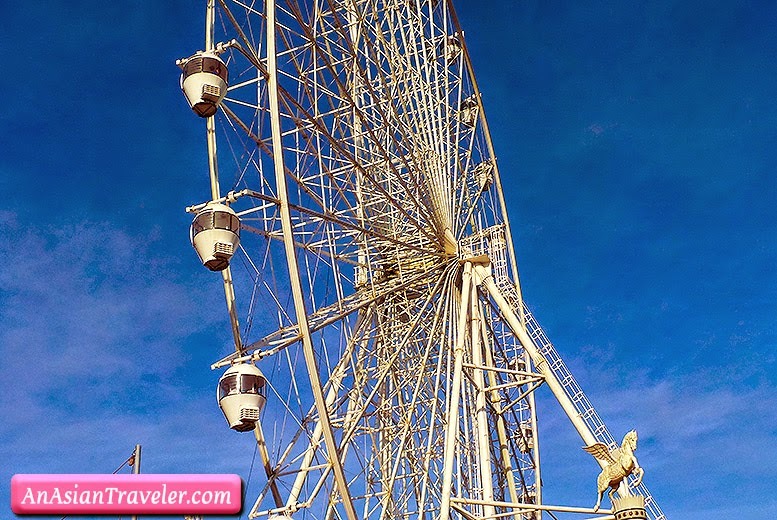 You need to ride this if you want to see a panoramic 360 degree view of the surrounding. 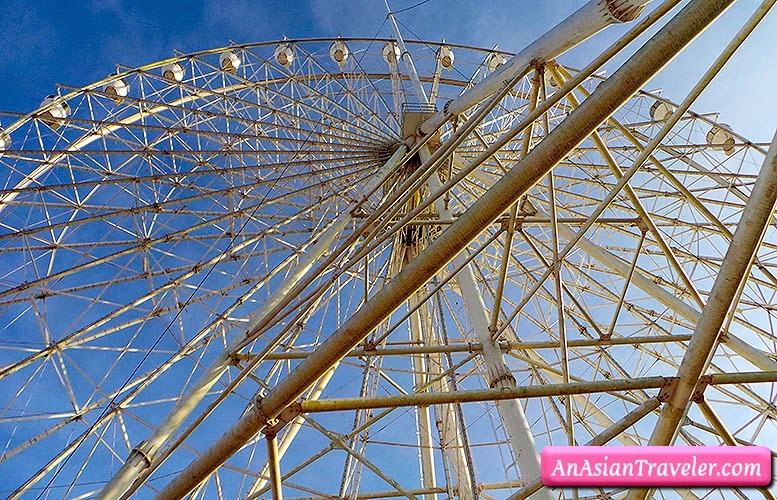 It is said that the Sky Eye is currently the tallest Ferris wheel in the Philippines at 63m (207 ft), beating the MOA Eye (SM Mall of Asia) at 55m (180 ft), and the Enchanted Kingdom's Wheel of fate at 130 ft. 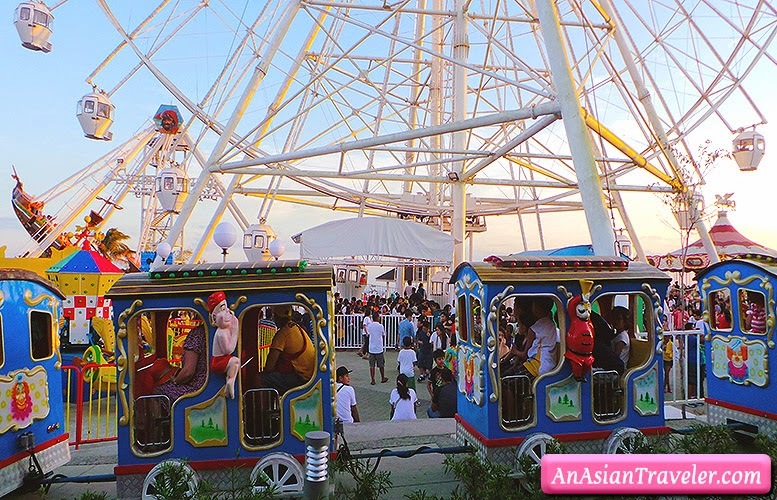 But of course, Sky Eye is still very far from defeating taller and well-designed Ferris wheels from other countries such as Singapore Flyer and Kaohsiung Eye. 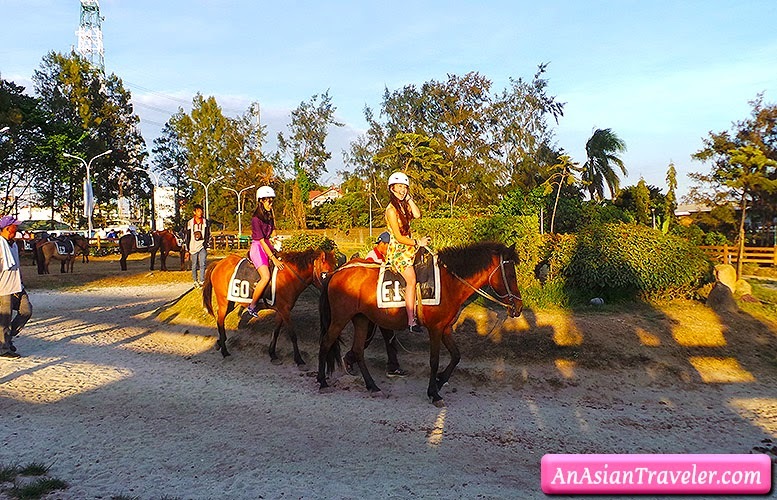 Then we sauntered to Riding Loop (P250/horse for 30 minutes) to let our niece and her friend experience horseback riding with a guide. 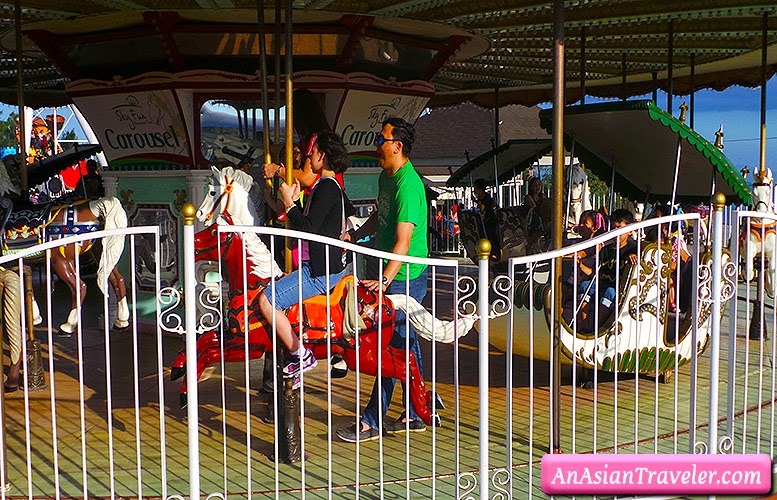 Please note that children ages 4 to 7 must be accompanied by a parent/guardian while riding a horse. 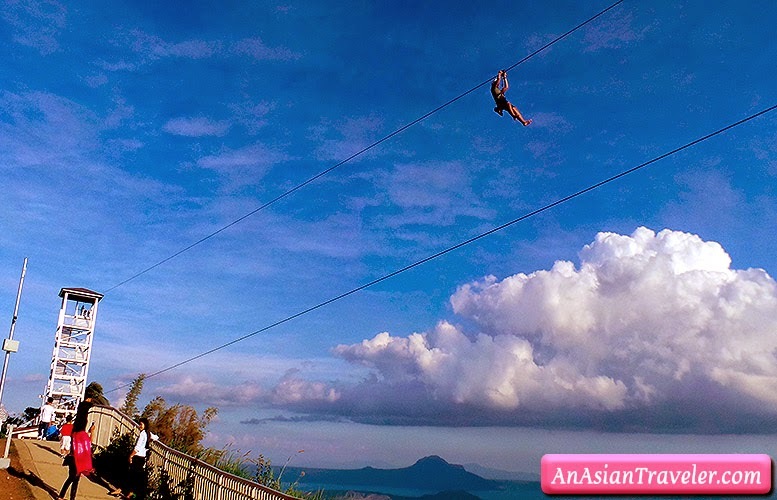 Also if you're seeking for an exciting adrenaline rush there's the Zip Line, where you can traverse the 300-meter long steel cable over the breathtaking view of Tagaytay. 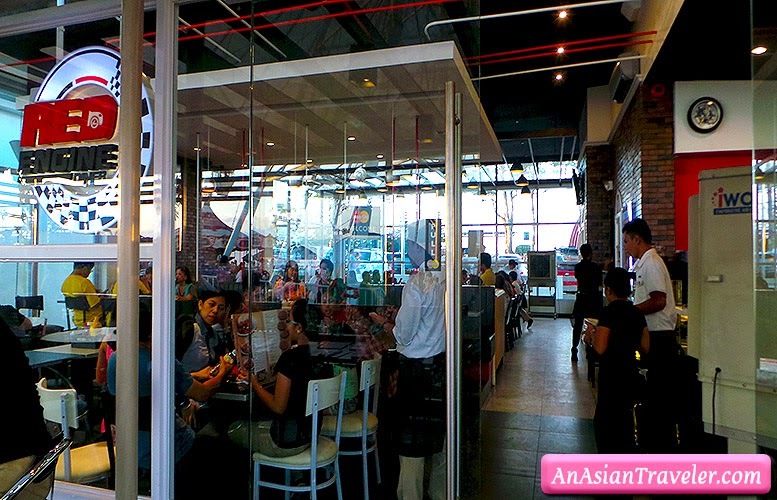 Price at P400 (one way) and P500 (two way) on weekends. 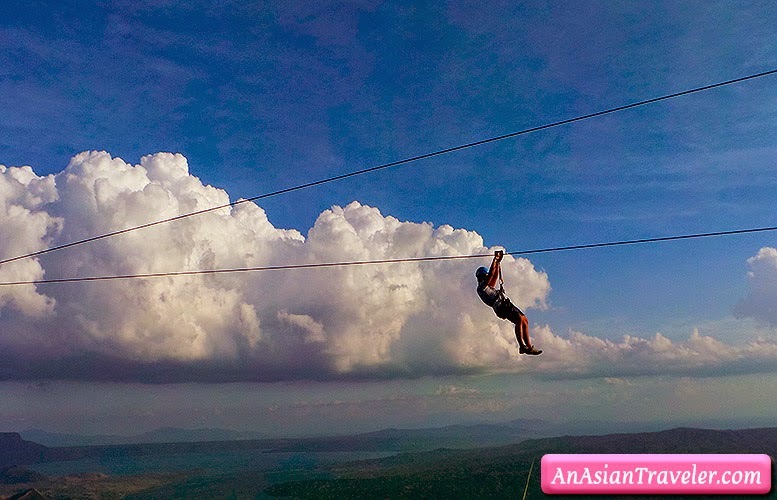 Weekdays are much cheaper. 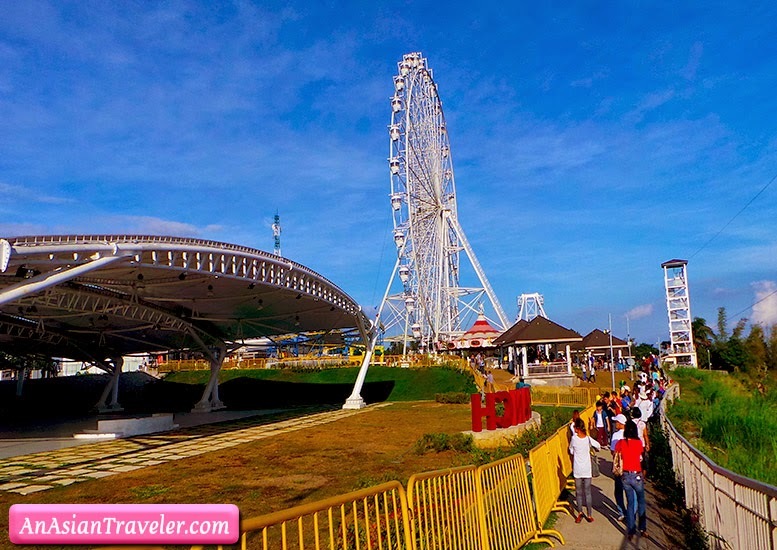 Aside from rides the park itself is bordered by the pristine beauty of nature. 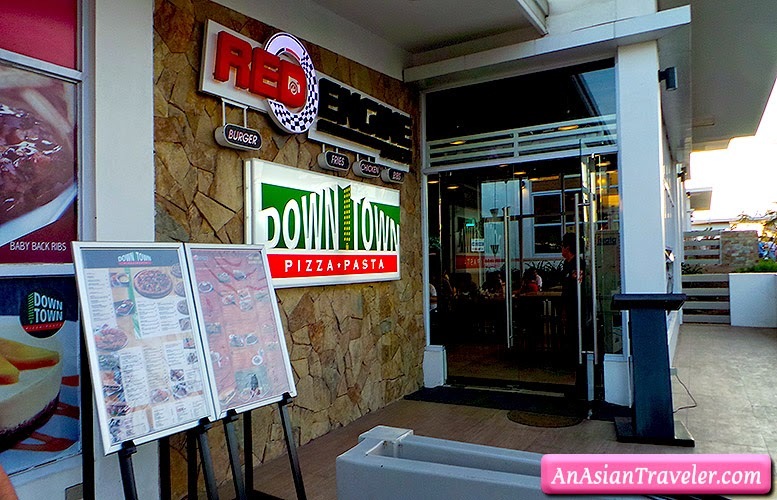 Plenty of restaurants to choose from such as Tokyo Tokyo, Leslie's, Uncle Cheffy, Kenny Rogers, KFC, Rue Bourbon, Kuse and Krispy Kreme, but we looked for Red Engine Diner / Downtown pasta and pizza where we indulged in pizzas. I'm not sure about this but I think guests are not allowed to bring their own food and beverage into the park. 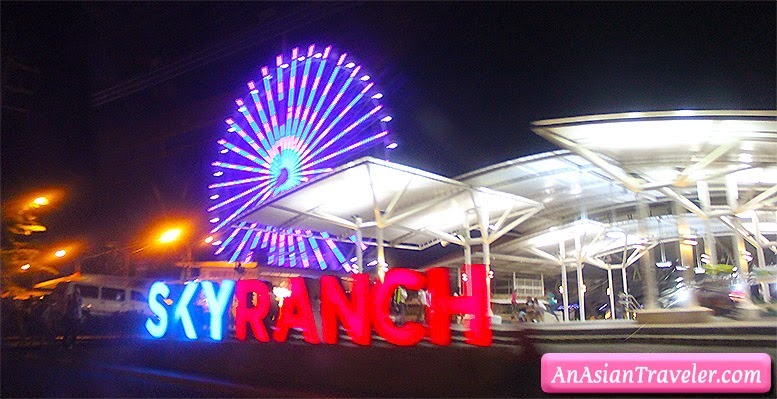 Sky Ranch is a 5-hectare property along Aguinaldo Highway owned by SM Land under its Commercial Properties Group. 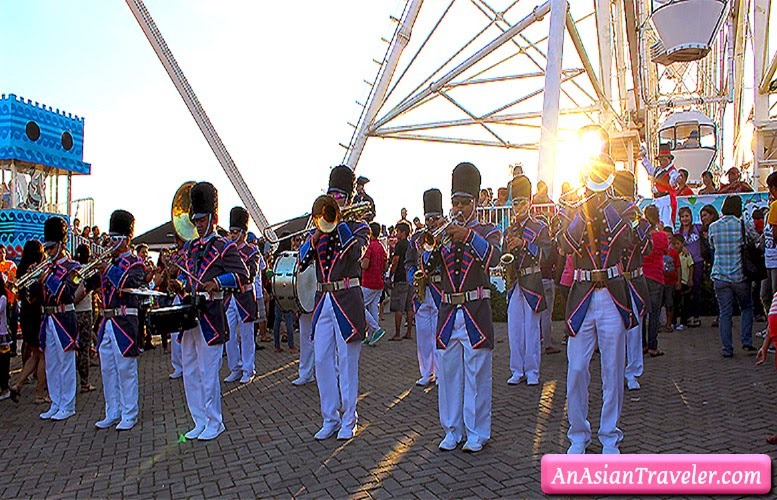 And it also has a spacious 2,000sqm-plus events tent for rent for various events such as conferences, exhibits, concerts, expos, and even for social gatherings such as parties and receptions.